I feel so lucky to have spent so much time in Paris in the last decade. I’ve gotten to know some of the areas quite well, I’ve seen a lot of the major tourist attractions, and I now love to just wander the city. The store windows are inspiring, the architecture is unbelievable, and there is always always always something exciting going on in the city! This post highlights some of the small(er than the Eiffel Tower) design details I captured in Paris. 1. 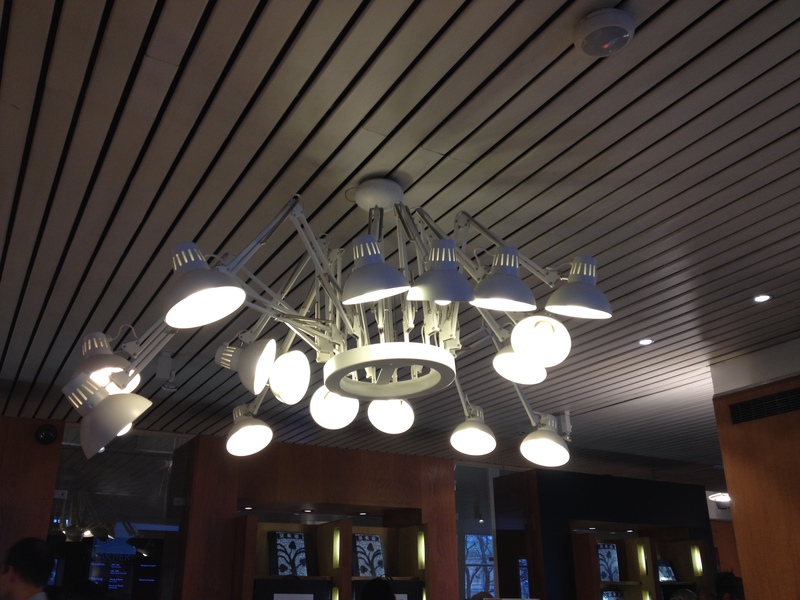 This crazy cool light fixture that was in the Grand Palais gift shop. 2. Angelina’s was a new stop for me this year. My friends and I stopped in for a rich hot chocolate and dessert. The interior was gorgeous and we had a really happy and friendly waitress. In between sips of hot chocolate, I looked up and noticed that Angelina’s has the same light fixtures as me! 3. 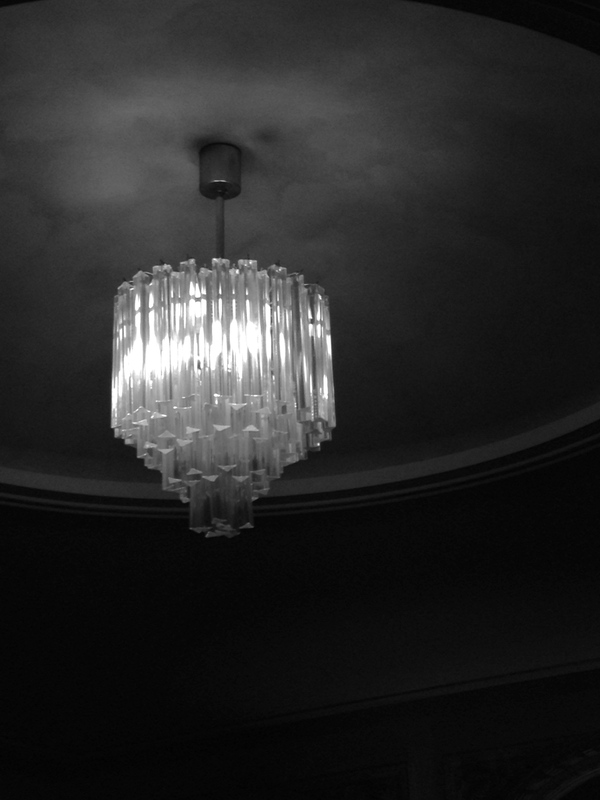 More amazing chandeliers were to be found at the Marché aux Puces. Amazing. There were hundreds (or thousands?) of crystal chandeliers around the market stalls and they were all brilliantly shiny. Oh man. So lovely. 4. Lighting wasn’t the only thing that caught my eye. I am fascinated by Paris architecture. 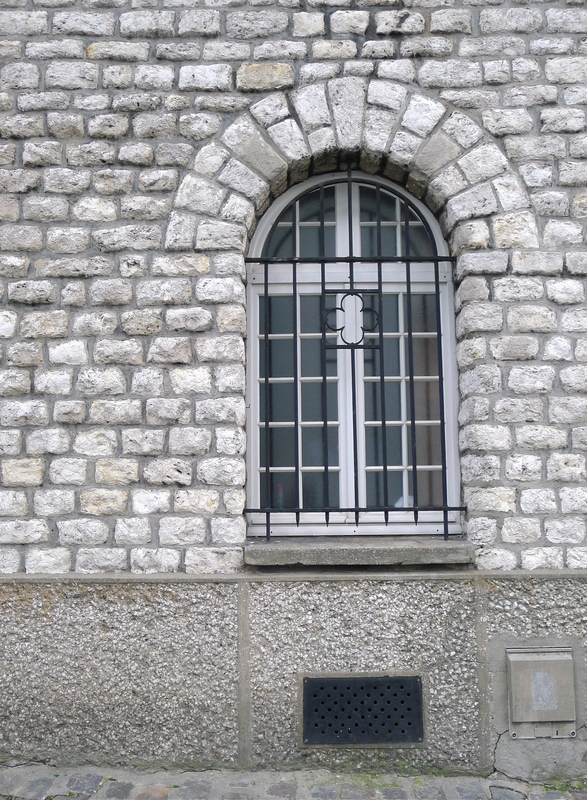 This wall and window and clover-detailed window grate was on a wall behind the Sacre Coeur. While everyone else was staring at the magnificent cathedral, I was taking photos of lesser-known walls around Montmartre. Can you imagine lifting and laying each one of those massive stones? 5. 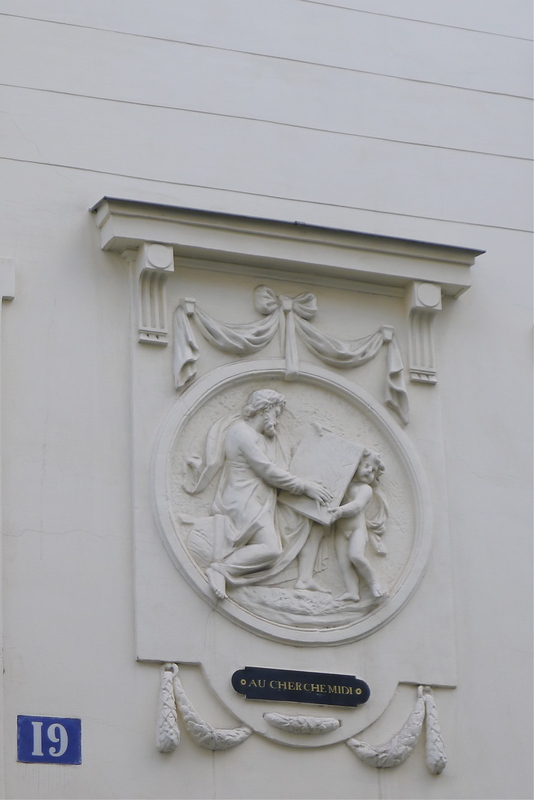 This little detail was on a rather simple building in St. Germain (on Rue Cherche Midi). It was just sitting up there over the doorway. Love the bow. 6. 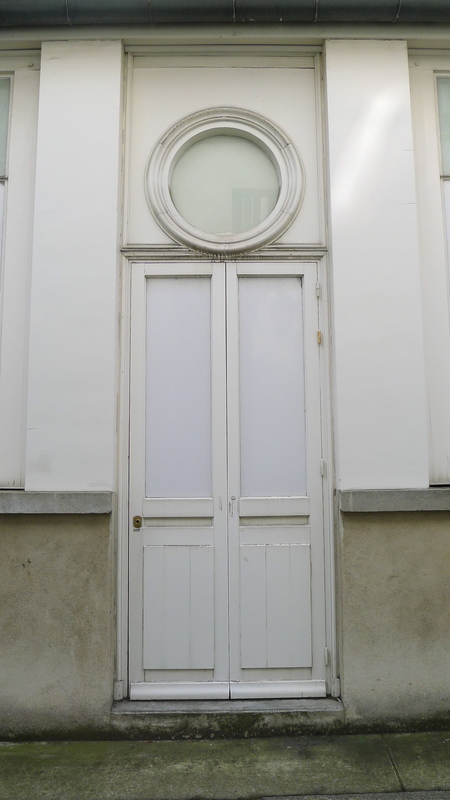 I think this next simple white door and wall was around Place des Vosges in Le Marais. I like that all the straight lines are broken up by a round window. 7. 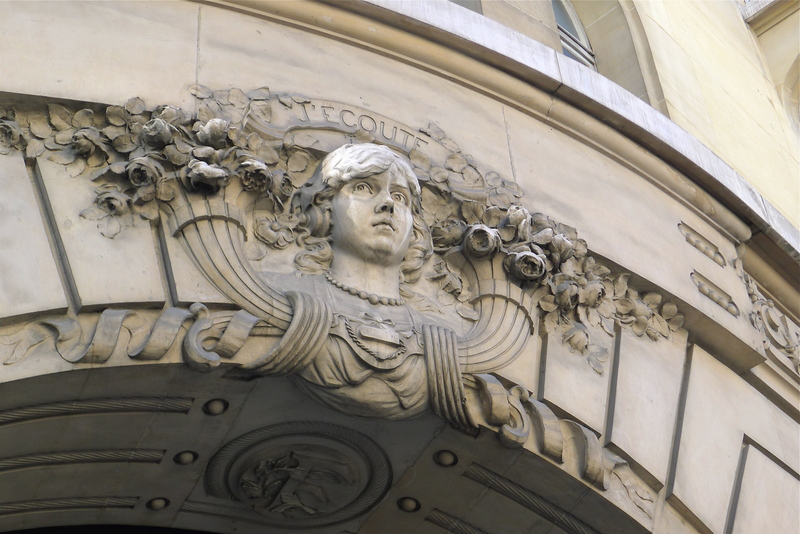 I only just noticed that above the face is “J’écoute” (I listen). This was also above an entry way and I am impressed by all the details…look at those flowers. How, how, how did people do this kind of thing centuries ago? 8. The Sacre Coeur. Okay – so I lied in one of the above comments. 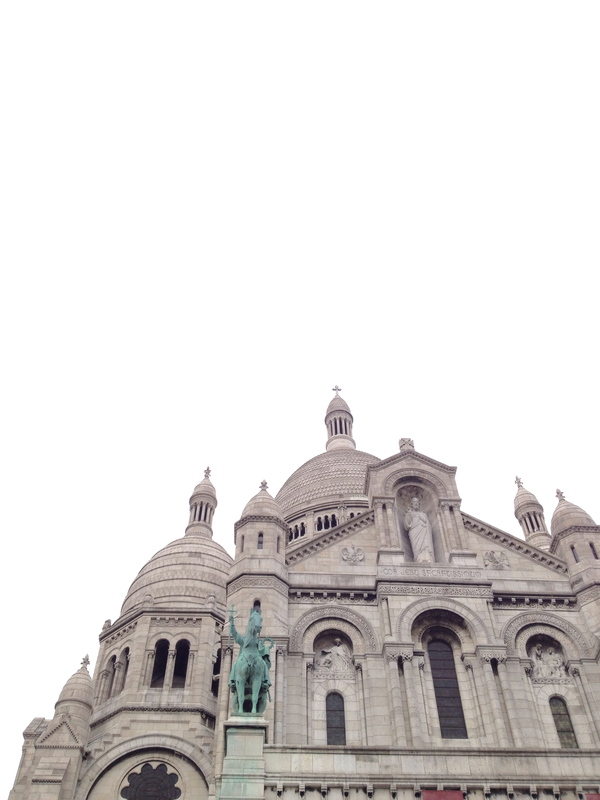 Just like everyone who visits Montmartre, I stared at the Sacre Coeur. It’s too incredible. And very white. It’s made of self-cleaning stone. 9. My friends and I attended Sunday mass at St. Sulpice. It was beautiful. No surprise, right? The organ concert after mass was incredible. Did the Da Vinci code mention the organ? 10. 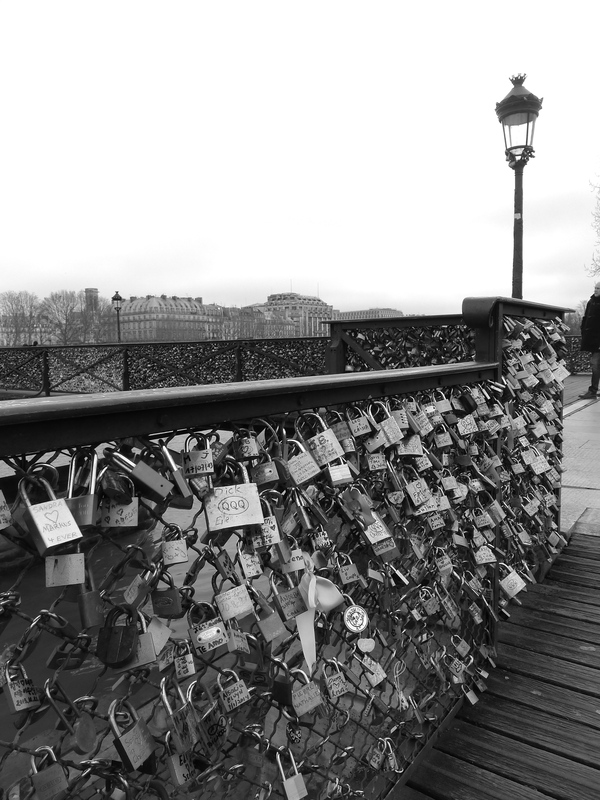 A few bridges in Paris are getting filled up with padlocks-of-love, but I think Pont des Arts definitely has the most! I hope the bridge can handle the weight of them all. And there you have it – another Paris update. See more here. What a wonderful snapshot of all those “ooohhh” moments you experience when visiting such a beautiful city! 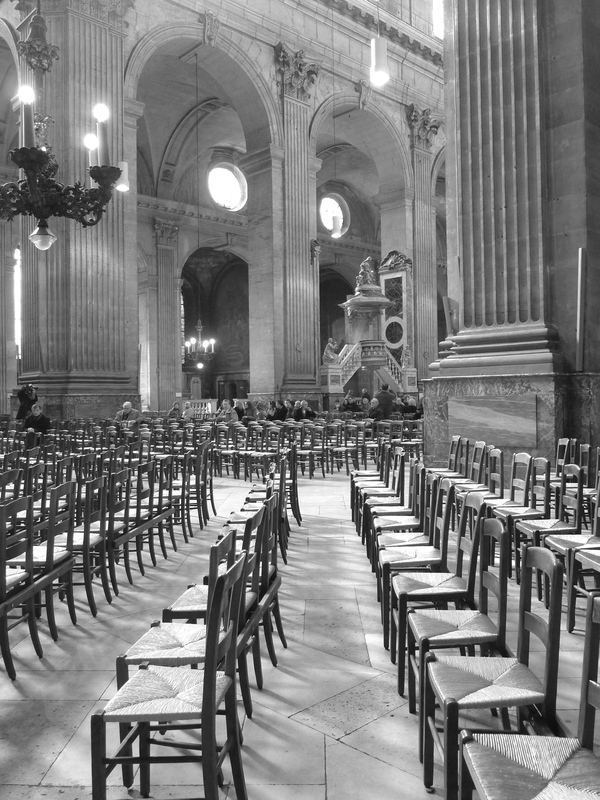 Your photograph of St. Sulpice is just magnificent and all those chandeliers…oh la la! Thanks Diana! The chandeliers – and St. Sulpice – are just unbelievable really. So hard to capture the beauty of everything in photos. It was my first time in St. Sulpice and it was just remarkable.